Harry Morton MacIntosh died at MarLane Lodge, Wolfville, NS, suddenly, with family and friends near, on September 2, 2018. Born in Hortonville, NS on July 8, 1924, he was a son of the late Frederick and Mary (Rathbone) MacIntosh. Harry was a resident of Avonport up until 2013 and spent his remaining years in Wolfville, NS. He was employed by Minas Basin Pulp and Power, Hantsport, NS, for 38 years, as a 1st class carpenter, building his own two homes. He was an avid outdoorsman who enjoyed camping, fishing and hunting. Harry was a musician all his life, which involved his outstanding tenor voice and guitar. 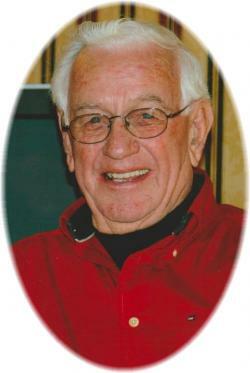 He was a member of the Kentville Barbershop Chorus for 35 years and the Avonport Baptist Church Choir for 10 years. He was an amazing, self-taught mechanic, restoring a 1920 Chevrolet and winning Best of Show, competing with 70 cars in the 1965 Halifax and Region Antique Auto Club Competition, while he actively was a member of the Halifax Antique Auto Club for many years. He was pre-deceased by his loving wife of 50 years, Ulrica (Porter); sisters, Bessie Pulsifer (John), Hantsport; Eva Urban (Walter), Avonport; Nelly Lockhart (Murray), Avonport; Mary Hartlin (Harris), Hants Border; brothers, Stewart (Ruth), Lockhartville; Donald (Violet), Avonport. He is survived by his fiancée, Helen MacLeod, Sydney, Cape Breton; son, Brad (Margie), Lockhartville; granddaughters, Melissa, Jennifer (Jon) Redmond; great-granddaughter, Baylee, all of Halifax; daughter, Jeanie (Bruce) Fagan, Kentville; grandsons, Michael (Liz), Kelowna, BC; Paul, Cambridge; great-grandsons, Nicholas and Jonathan; grandson, David (Luwanna), Kentville, great-granddaughters, Serena and Naomi; brother-in-law, Leander "Lee" (Glenne) Porter, Centreville; many nieces and nephews. There will be no visitation, by request. A celebration of life will be held at Avonport Baptist Church on Sunday, September 16, 2018 at 3:00 p.m., Reverend Brian Keezer officiating. A private family burial will take place at Lower Horton Cemetery, Grand Pré following the reception. Family flowers only, by request. Special thank yous to Marlene Atwell; Tamecia Smith; and Jim Wright of MarLane Lodge, Wolfville, as well as Dr. Michael Sinclair. Donations in memory of Harry may be made to Valley Regional Hospital or Avonport Baptist Church. Funeral arrangements have been entrusted to the White Family Funeral Home and Cremation Services, Kentville. Valley Regional Hospital or Avonport United Baptist Church.